In today´s economy, information technology (IT) companies must increasingly compete for resources and customers, and consumer interests and resource scarcity are changing the way these companies do business. To stay competitive, IT companies must look beyond their own operations and consider opportunities to introduce sustainability and social responsible issues into their business strategies in order to increase resource efficiency across the entire value chain: not only at the front-end and the design and manufacturing of products and packaging but also in the systematic recovery of valuable materials. By collaborating closely with value chain partners and other key stakeholders, IT companies can discover optimal solutions and drive impactful action. 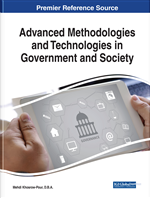 In this chapter, the authors delve into how IT companies can promote sustainability and socially responsible issues into their value chain while presenting a set of tools that these firms can use to act in a sustainable manner and obtain competitive advantages. An increasingly important aspect of corporate management in recent decades has been the incorporation of CSR, a construct that emphasizes the obligation of companies to integrate social and environmental parameters into their modus operandi and their long-term strategies. Although some publications present CSR as a new construct, the idea that companies must manage their social and environmental obligations has its roots in a much older debate (Dejean and Gond, 2004). Extant literature in economic and organizational theory has reviewed the role of business in society, and all of them agree that the purpose of business should be broadened beyond only economic benefits (Friedman, 1970) and that a social dimension should be incorporated into corporate performance. The CSR concept refers to the set of commitments that a company acquires to manage its economic, social and environmental impacts and to support the objective of maximizing profits while generating benefits for society, particularly for its stakeholders. However, one question may arise: What kind of actions can be considered as socially responsible? Depending on the business activity, the sector or country in which the company operates, the applicable law can change and, therefore, also the actions that may be considered as socially responsible. However, all CSR actions have as a starting point to meet the expectations of stakeholders minimizing the risks associated with their activity (other than financial) and “positivizing” the impacts of their activity in the economic, social and environmental sphere.